Dog Treats & Chews: 5 stars out of 5 based on 192 user reviews. Great little treats and great value for money. Our big ray of sunshine, all 12 stone of him loves these lamb strips. Whilst you stock these and hopefully they won't be discontinued, you'll have a happy customer for life. Very speedy delivery from Valupets and super price too. The vets made lots of money out of us over the years, with our dogs food allergies. But as long as we stick to lamb everything's fine. 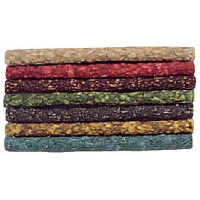 The price and service are very competitive for the fillets and speed of delivery is really fast from Valupets. Keep up the good work. These chewy lamb twists suit our dogs sensitive digestion. He can't tolerate chicken or fish without messy consequences. So please don't stop making these goodboy. And the service on and off the phone from Valupets is quite simply amazing. I order one day and they arrive the next. Cooper our boxer is allergic to just about everything, which makes it hard to find suitable dog treats for him. But these good boy venison steaks are perfect and don't cause him any problems or trips to the vets. 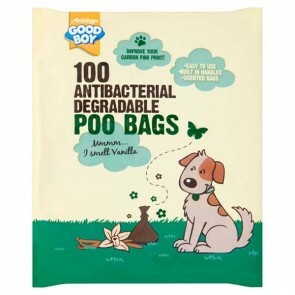 It must be said we can't buy them locally and most pet websites don't stock them. But Valupets do and at a great price too. Delivery is fast which pleases our dog too. 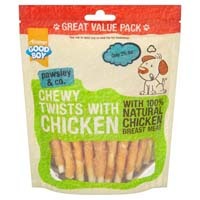 Our dog can't have chicken, so these chewy duck twists are great. They keep him quiet and stop him begging at the table. The delivery is really fast from Valupets too and the price is cheaper than the supermarket. My dog loves these succulent pig in blankets and listens to everything I say, sit, stay etc and does it straight away. Maybe he thinks he's it's eating a bit of our sunday roast. Anyway the service is great, price is competitive and I can mix and match these pigs in blankets with other dog treats, to spice it up a little for our four legged monster. 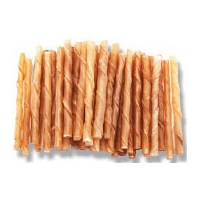 My dog loves these chewy braid’s she will lay down and chew on them for ages. Beef bites make a great change as a treat for Honey. Pack size is perfect for carrying in your pocket and price is good for your pocket as well.